Find out which local plants attract bees and other small beneficial critters to your garden; purchase native plants best suited to the Eastern Suburbs climate and learn how to keep bees with our urban beekeeping workshop. Join your community in celebrating and appreciating the important and many essential services provided by our natural world. These services protect our health, provide endless enjoyment and are our planets first line of defence against climate change. 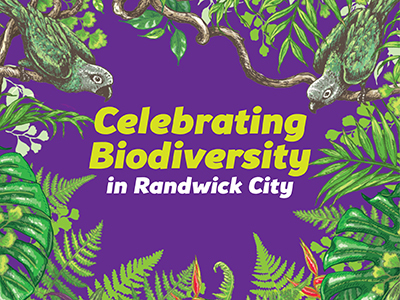 From 9am – 1pm at Randwick Community Nursery you’ll find out which local plants attract bees and other small critters to keep your garden healthy and easy to maintain, purchase native plants best suited to the climate of the Eastern Suburbs, and learn how to keep bees with our urban beekeeping workshop (bookings essential).